Following on from the secretariat meeting on the 9th of January the following notes have been produced to update members of Lincoln Cursillo prior to the next Imp Sheet, which will be produced after the AGM in March. Other dates and information is as per the December Imp Sheet or website. Ultreya and AGM. 12th March at St Peter’s Church Woodhall Spa. There will be at 12oclock Eucharist in the church followed in the hall by a bring and share lunch, the AGM and an Ultreya. Finishing by 4pm. Come along and enjoy the day with fellow cursillistas in songs, actions and fellowship. Election for the administration post of a Safeguarding rep. This is a new post and the rep will not serve on the secretariat but will attend as and when required. If you are interested or know of someone who is prepared to take up one of these posts then please contact either Liz Lilley 01507 440039 or Heather Morton 01472 751954 as soon as possible. 1st Training Day. 12 March, 9:00 for 9:30 till 11:30 at St Peter’s Church Woodhall Spa. Followed by the AGM and Ultreya. 2nd Training Day. 14 May 9:30 for 10:00 till 4:00 at Bishop Grosseteste College, Lincoln. The What Next has been brought forward to the 25 June and will be in the Village Hall in Hackthorn and will then be followed by the Summer Event in the afternoon. Do you have an up to date poster and a few 3 fold leaflets(with the priest's permission) in your church/benefice? These can be downloaded from the web site. 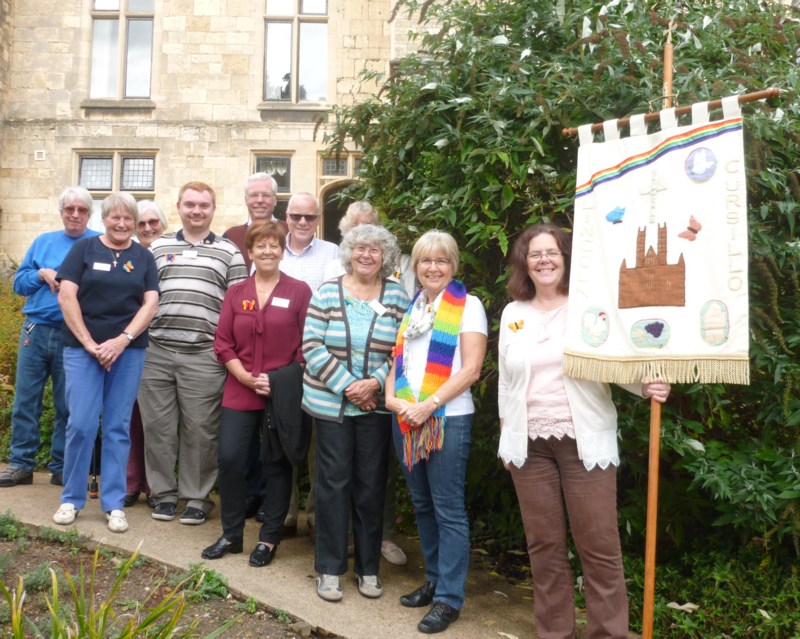 Have you spoken about Cursillo at your PCC or Deanery Synod meeting? A short 5 minute talk would perhaps be enough, show the DVD or lend a copy. You don’t need to be alone bring a friend. Are you going to: the BACC Catch the Vision Conference in Swanick 20-22 May, the National Ultreya in York in September and/or a CLW weekend? See the website for details. It is a grey day as I sit here in my newly decorated study seeking inspiration! I have moved my desk, and so I have a new perspective - I can now see out of two windows instead of just looking at a wall! More risk of distraction of course, but also the potential for inspiration! Sometimes it is good to look at situations from a new perspective. 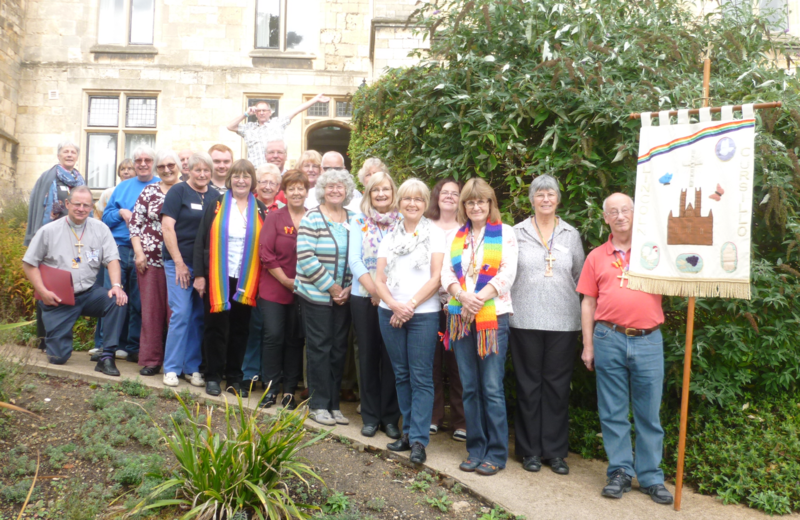 And so it was that the Secretariat met at “Time Away” at Stixwould a couple of months ago, to spend time with each other and with God, as we sought to re-jiggle the Weekend programme, in order to find more “space” within a very full three days. We each came with our own ideas, and these we metaphorically lay down as we sought God’s perspective on it. There could have been tension, but I am happy to say that it all went really well! We began by writing in the “compulsory” items as set by BACC guidelines onto large programme sheets made from wallpaper – the 5 meditations, 15 Rollos, and daily worship. We then reassessed the purpose of each “optional” item, trying to keep a broad experience of Anglican spirituality. Amazingly, by the end of the afternoon, by moving things around and by combining some of the items with the acts of worship, we had managed to find two free hours during the afternoons of days 1 & 2, without actually omitting any individual item! Praise God for His guidance over the day. Praise God, too, for the generosity of spirit from everyone who attended! We will need to view things from a different perspective, too, when we hold #32 at Bishop Grosseteste next June. A new location will mean the Team will not be able to rely on old patterns. An advance party has been there to spy out the land, so to speak! We may need to adjust things to allow for a larger site, but we are pleased with the facilities and the willingness of the staff there to listen to our odd requests! (You know what I mean!) We haven’t formed the Team yet, so please be in prayer for the right people to be willing and available! Last month I attended the fourth, and last, session in our Myers Briggs series of workshops. This one was about Conflict, and helping each other to understand how different personality types interpret conflict as well as how they deal with it. Revd Aly Buxton led us with wisdom and positively. We were privileged to spend the day with her at Boston Stump - an inspirational place that, after troubles of its own, is building up a thriving relationship with the town. So – back to big decisions as to where to replace everything in the study! Moving the furniture means new locations for all the pictures! A fruitful distraction as long as I don’t chip the plaster putting in new nails! Hoping to see you at our Winter Event! Now we are in the season of Remembrance. Already there have been All Souls Services in many churches, where those who are grieving can come to light candles of remembrance. These services are very moving and can help mourners to let go some of the hurt. As I write I have just finished preparing to lead a Remembrance Day Service. It seems that Britain has been involved in wars and armed conflicts for the whole of my life. Almost inevitably, there are casualties and deaths. It is fitting that we take time to remember and pray for those who have been badly injured or died. Sadly, mankind never seems to learn from its mistakes, yet we long for peace. There will be peace: when enemies become fellow human beings. Where is God in all this? Does he watch from a distance? Is he impartial or uncaring? Absolutely not. Jesus told us that whoever had seen him had seen the Father. Jesus himself cared deeply for all people during his earthly life. He cared enough that the Holy Spirit came to the disciples at that first Pentecost, and still remains with us. That hope is for all mankind, and we, as members of the Cursillo movement, show that hope in our method – prayer, study, action. The more members of Lincoln Cursillo I meet, the more I am in awe of the way in which you show God's love with everyone. Your enthusiasm is a delight and an inspiration. After the Clausura service for Lincoln #31 in October, the incumbent, the Revd. Richard Crossland, said how wonderful it would be to get congregations with this kind of enthusiasm in churches on Sundays. Soon it will be another kind of remembrance. Of course, that will be the celebration of Christmas. People the world over celebrate Christmas, even if they are not Christians. For so many, it is just a holiday, or a time for parties, or a chance to receive presents. If only they knew the joy with which Christians experience Christmas. If only they knew the joy that Cursillistas get at Christmas, and we can party too! So as you remember the birth of the Christ child, I wish you a holy, joyful, and exuberant Christmas. Whenever the Lord calls you to follow Him in order to undertake a task your body always seems to be dragged kicking and screaming, 'I've got something else to do.' Perhaps it's the sense of things to come that are beyond our understanding, taking power away from us, requiring us to obey without question. So it was when I gathered with the staff of #31 at Edward King to welcome the twelve pilgrims who were probably in a more nervous situation than I, knowing little of what the few days retreat would bring. Our first task was to welcome each of them as they were brought by their sponsors to be cared for, to be loved and to be gently guided to come into the presence of God. As the few days unfolded, listening to the Rollos, sharing with everyone as we all felt the layers being gently peeled away so the Lord could work His wonderful life changing way with each of us, staff as well as pilgrims. Each morning we dragged ourselves from the warm cocoon of our beds to begin the day in the presence of the Lord through the Eucharist. Having fed the body at His table we took ourselves to another table and had breakfast. Next came the feeding of our minds through listening, talking and learning. All these sessions led us to walk more closely with God. We 'let go and let God' so our spirits could be refreshed. Finally, after an amazing retreat the pilgrims fell tired, but laughing, into the arms of their sponsors again as they took them back into the world, not that it was going to be easy to touch the ground with their feet again. All of us are changed people, never to be the childlike persons we were, now we have grown up a bit more, having been touched by the Holy Spirit to 'go out into the whole world and make disciples of all people.' Staff or pilgrim, we thank God for this experience, never to be forgotten. Firstly, I had never heard of Cursillo and initially saw the course advertised in Crosslincs. Having recently retired from a career in the Police Service I thought that I would give it a try. My hope was that having retired the course would help me to move forward with my faith and give me some direction now that I had more time to concentrate. Initially I sent an email to Liz Lilley and was quickly contacted by John and Judith Scott (Caythorpe & Claypole Group) who came to visit me at my home address and then agreed to be my sponsor. By this time I had brushed up a bit on the background and history of Cursillo and felt very positive about attending the course, but kept an open mind and did not come up with any preconceived ideas. My one predominate feeling was one of expectation and excitement particularly as in November my wife and I had planned an extended retirement holiday to New Zealand to see our son and his family. The course therefore was to fit in perfectly. Little did I fully realize just how perfect the timing was, because just after the course I was diagnosed with having Prostate Cancer and as a result our holiday had to be cancelled. Well, the course was everything I prayed it would be - and more!! Firstly I thought the venue was fantastic right by the cathedral and the accommodation excellent, particularly as I was very fortunate to get my own room which facilitated some quiet time to reflect following the busy daily schedule. Altogether there were twelve pilgrims on the course and we were split into three groups. My group was called St Paulinus. I have attended many courses throughout my career, but it was absolutely clear right from the start that this course 'just clicked'. Not just the pilgrims but the course leaders. A lot of the time was spent in our individual groups, but during meals and down time all pilgrims mixed together and I am confident in saying that the Pilgrims on Cursillo #31 feel that they have made special friends during the course - a feeling that we have happily travelled together on this our Cursillo journey. It was wonderful to meet everybody again at the 4th Day Debrief following the course and to go over once again our experiences. I think that we all agreed that the three most impressive experiences during the course were the evening candle lit meditation, the last days 'Quiet Morning Meditation'!! and of course the final Clausura at Nettleham. There I was dancing around in the aisle with a cross and brightly coloured lanyard around my neck and two butterflies on my chest shoulder to shoulder with my new friends praising and thanking The Lord. There was a brief moment when I thought ''What on earth would my old police colleagues think of me now''!! It was also the first time that I had expressed myself in this way. To actually raise my hand and arm in praise was in itself a miracle! It was wonderful to experience such 'a high', but of course it would be impossible to remain at sure a high pitch and a few days later I came down with a bit of a bump, especially when I was informed about the cancer and then the wait to see whether it had spread. Without any doubt whatsoever Cursillo has given me the extra strength to put the matter into God's hands. My cancer has not spread and I have elected the surgery option to remove my prostate. My operation is imminent. Following Cursillo it was a very special experience to return once again to my own church at St Wilfred’s, Metheringham. I felt uplifted, sort of different in a new and exciting way and it was such a pleasure to place my Cursillo Poster on the church notice board with friends asking me what it was all about. My hope is that I will be in a position to sponsor one or more of these friends on the next course. I feel sure that the timing of my Cursillo was much more than just a coincidence, like many other things in my life which could be assessed by some to be exactly that - a complete coincidence. For me Cursillo has given my faith the boost I needed and I am grateful that I have managed to squeeze in a Reunion Group Meeting before my operation. Again I have met some wonderful new friends. It was noted that the contents of the party box are somewhat depleted. While we do not need a lot if anyone does see any suitable items (especially rainbows and butterfly's) they would be gratefully received. All costs are reclaimable. Please pass any items to the Secretariat or bring them to the next event. We are a family and therefore it should be good for us to meet up occasionally. We are trying to find out why more people do not attend the above events. There is no right or wrong answer. It is just to help us see if we need to change things in any way. Any comments you have will be treated confidentially and do not need to contain your name but your group/area would be helpful. If you do not attend these events would you like to tell us why not? What kind of activities would you like at these events? Does the distance/venue stop you attending?